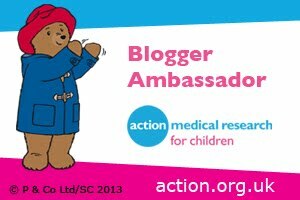 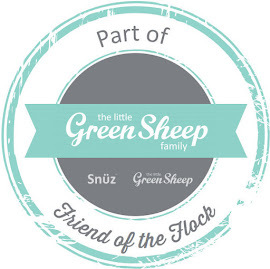 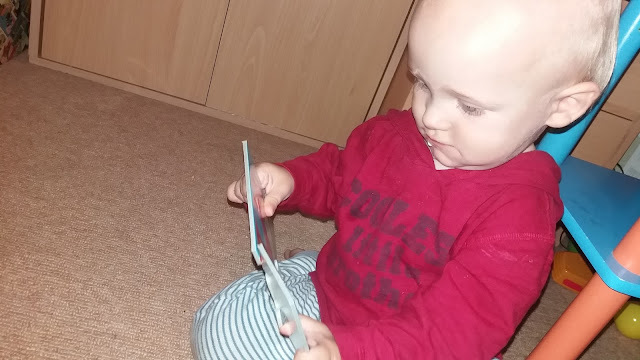 As we have seen the enjoyment and educational benefits that Bug has had from puzzles over the years it is only natural that we introduce his little brother Jelly Bean to the wonderful world of puzzles too. 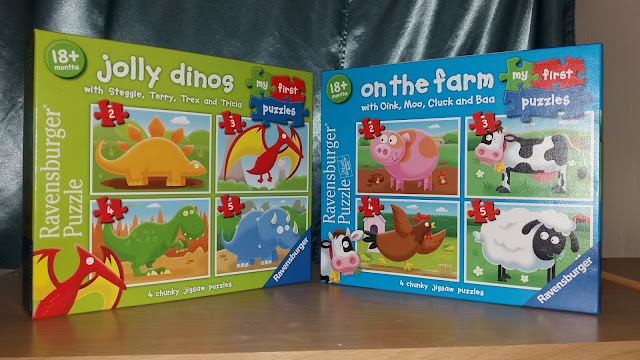 Being huge fans of renowned puzzle makers Ravensburger we loved being able to show Jelly Bean a couple of their My First Puzzles - Jolly Dinos and On the Farm. 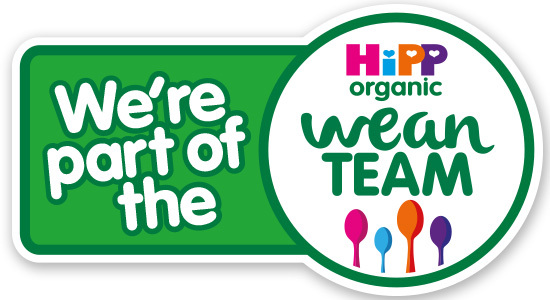 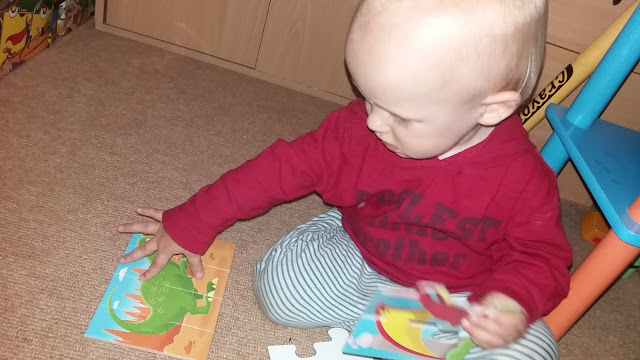 My First Puzzles is a range of jigsaw puzzles that are specially designed for little ones aged 18 months+. 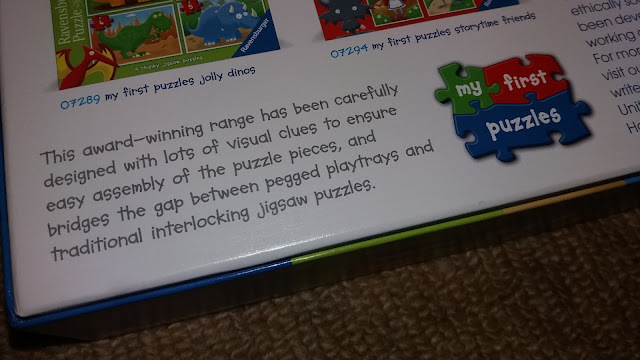 The puzzles consists of 4 separate puzzles of varying levels of difficulty - 2, 3, 4 and 5 piece puzzles. 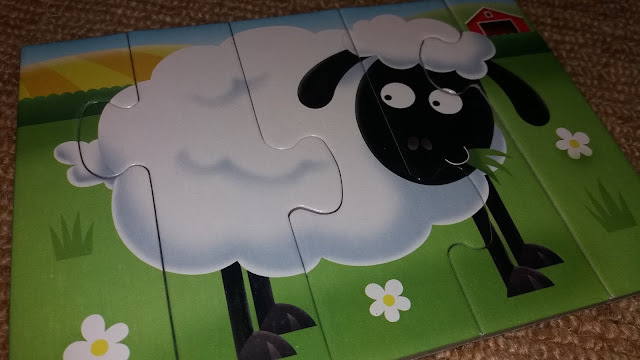 The puzzles measure 11.5 x 16 cm when completed. 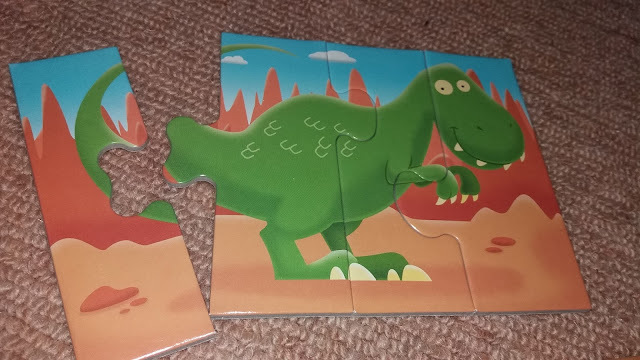 The puzzle pieces are a great size for little hands and the super-thick white-lined card is durable for lots of fun puzzle play. 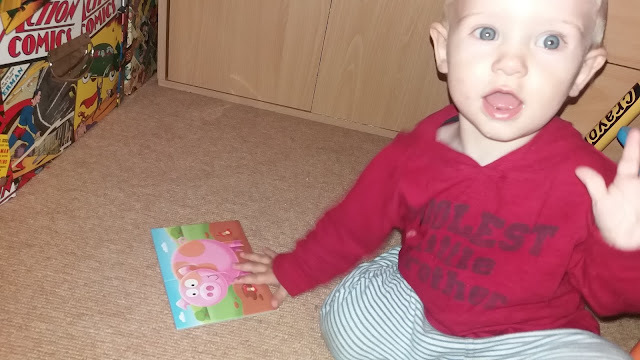 This set of 4 bright and colourful puzzles is lovely and very appealing to little ones. 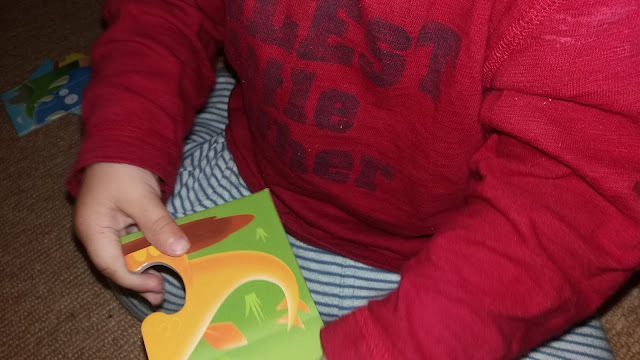 Jelly Bean loves the cute dinosaurs and has been roaring at the Jolly Dinos Steggie, Terry, Trex and Tricia. 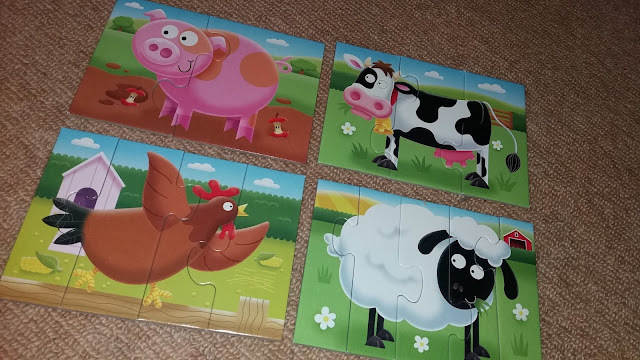 As Jelly Bean loves farm animals he adores this set of 4 colourful puzzle scenes that feature friendly farm animals Oink, Moo, Cluck and Baa. 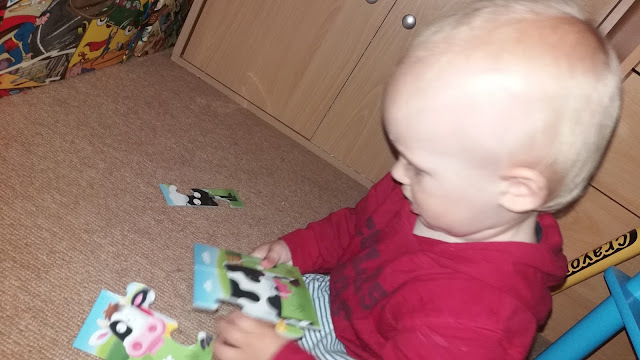 Whilst Jelly Bean has yet to master completing the puzzles unaided they are a lovely set to introduce him to the wonderful world of puzzles and he has had lots of fun helping his big brother complete the puzzles to see the Jolly Dinos and friendly farm animals. 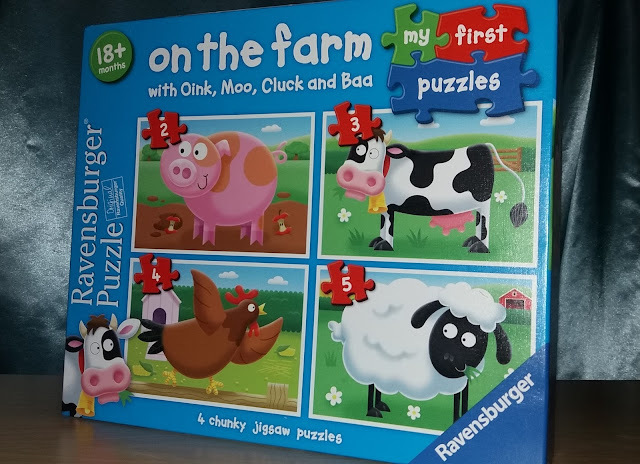 Not only are these puzzles colourful, fun and interesting to little ones but they also provide the benefits of puzzles from a young age and are helpful to a child’s mental development such as helping hand-eye co-ordination, developing fine motor skills, teaching them about the world around them, introducing them to problem solving, learning shape recognition, and enhancing memory. 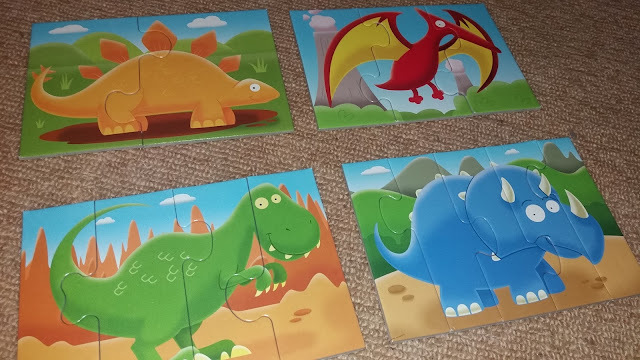 These puzzles are a lovely set of durable, high quality puzzles that are a great introduction to jigsaws for little ones that helps them learn to assemble the puzzles and feel confident about doing so before moving onto larger puzzles. 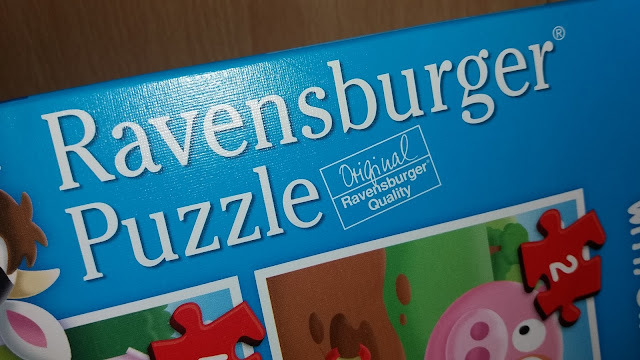 We love these puzzles which boast Ravensburger’s original quality. 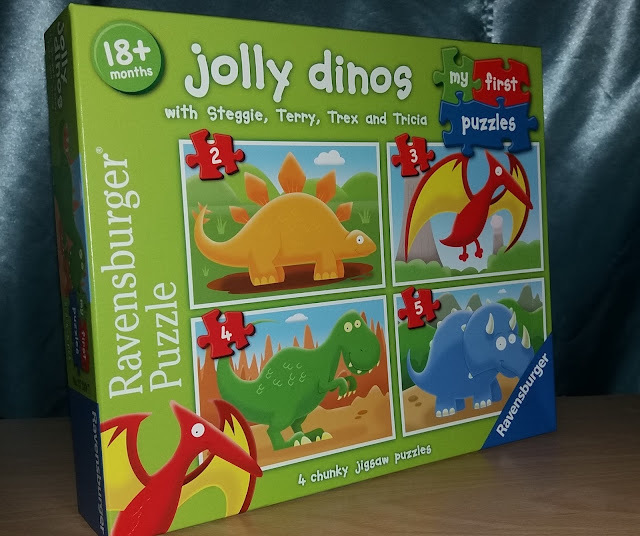 The Ravensburger My First Puzzles, Jolly Dinos First Puzzle & On The Farm First Puzzle retail at £4.99 each.